The Tomahawks split a pair of games this weekend vs the division-leading Philadelphia Rebels. The action on the ice was physical, as usual when it comes to these two teams. There was no love between the two teams off the ice as well. We won't get into details here, but the Rebels were given the smallest locker room in the arena to use instead of the usual, spacious, away team locker room. The Rebels did not stay overnight in a hotel in Johnstown either as every other team does when playing in Johnstown. 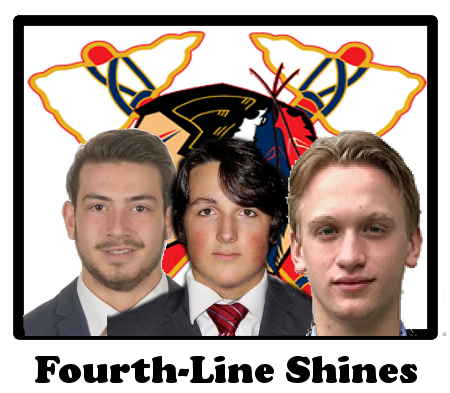 This all stemmed from a, less-than-good experience the Tomahawks were given when they visited Philadelphia earlier this season. If you'd like to know more, talk to your fellow Tomahawks' fan. It was a point of conversation around the arena both nights. 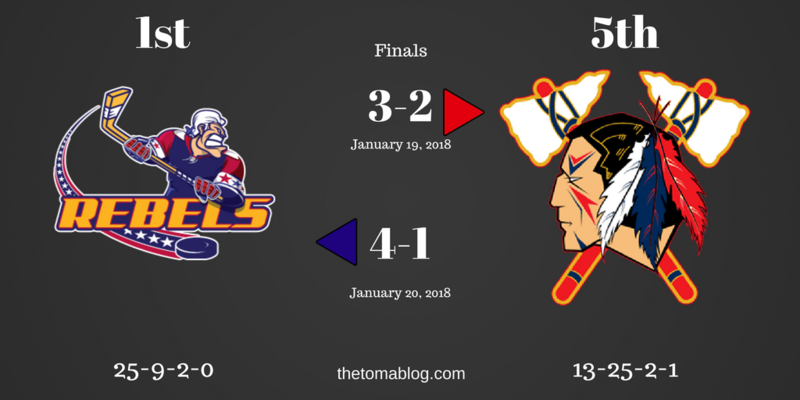 As for the on-ice events went, the Tomahawks pulled out a great come-from-behind win on Friday night, only to see the Rebels put together a comeback of their own the following night on Saturday. Here's the two press releases detailing all the scoring on Friday and Saturday night. Below are some thoughts/notes about the past two games this weekend and a look ahead. Listed on the lineup chart as the fourth line for the Tomahawks, Baez, Briere, and Gorscak had an impression weekend for the Tomahawks and were the team's deadliest line. The Tomahawks scored a total of four goals this weekend vs the Rebels and the fourth-line factored on three of those goals. On Friday night, this line tied the game up at two, in the third period. Then they took the lead (which was the game winning goal) a few minutes later. On Saturday, the fourth-line had the team's only goal in the game which was scored midway through the first period. Each player this weekend had three points. Briere had two goals and one assist. Gorscak had one goal and two assists. Baez had three assists. On Saturday night, the Tomahawks impressive penalty kill streak ended when the team allowed two goals on the penalty kill vs the Rebels. Going into Saturday's game, Johnstown hadn't allowed a power play goal since December 16, 2017, which was also against the Philadelphia Rebels. In the span of eight games, Johnstown had gone 39 for 39. On Saturday night, Johnstown went 5 for 7 on the penalty kill. Overall, the Tomahawks' penalty kill is currently ranked 12th in the league killing 80% of the penalties they take. On the offensive side of things, the Tomahawks power play is currently ranked 17th, scoring 17.4% of the time with the man-advantage. Saturday Night was Ninja Turtle Night at 1st Summit Arena @ Cambria County War Memorial. A total of 3,376 fans packed the arena to see the Tomahawks take on the Rebels. 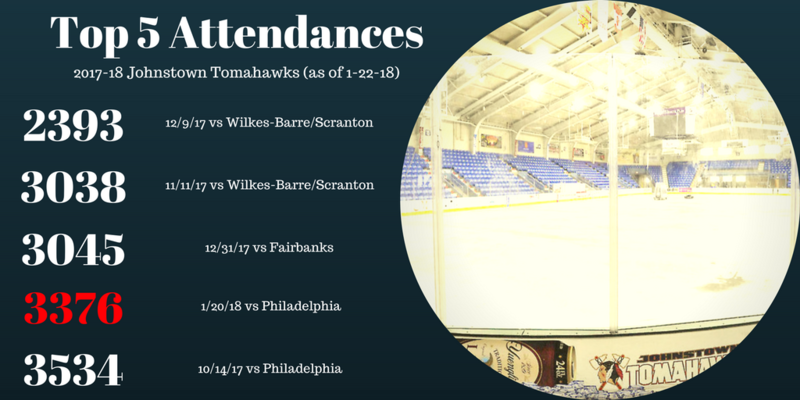 This brought the Tomahawks average attendance this season to 1,996. 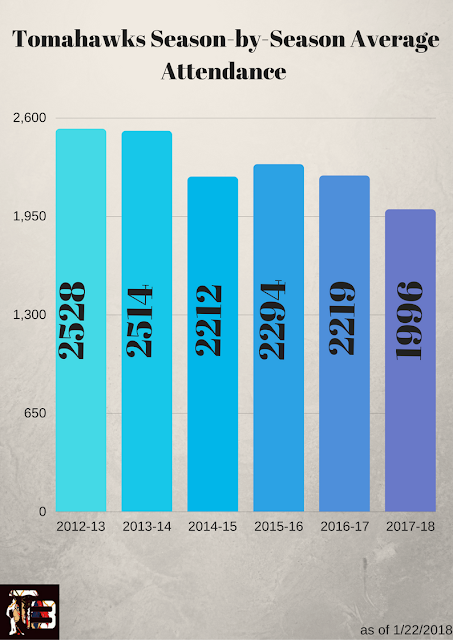 Below are two infographics showing you the top five crowds this season and season-by-season attendance numbers in the Tomahawks' six year history. The overall attendance this season still has a chance to raise above 2,000 fans as Johnstown still has seven home games left in the 2017-18 season. I believe that the numbers will probably finish slightly above an average of 2,000 fans as the Tomahawks have some great promotions for the last seven home games that should help pack 1st Summit Arena. On top of that, even though this season has been a disappointment record wise, Johnstown still has a chance to make the playoffs. 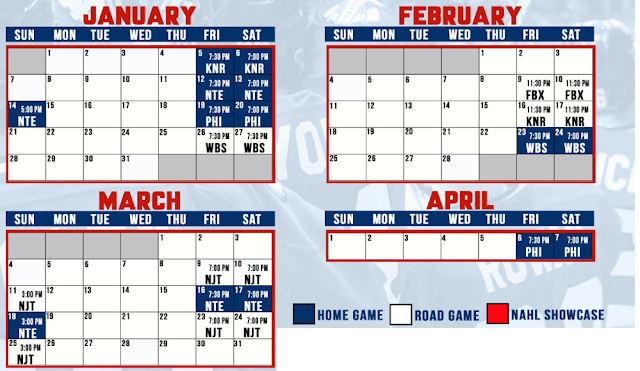 Upcoming promotions include: Faith and Family Night (Feb 23, 2018), Guns & Hoses Night (Feb 24, 2018), Fight Night (March 16, 2018), 6th Annual Pucks and Paws Night (March 18, 2018), Fan Appreciation Weekend (April 6-7). The Tomahawks season longest home stand of nine games has come to an end. Johnstown will now take the road for the next month. Here's a look at the remaining schedule for the Tomahawks. Labels: 1st Summit Arena, 2017-2018, Carson Briere, Christian Gorsack, Joey Baez, Johnstown Tomahawks, NAHL.